Leadership can be lonely. No, Leadership is lonely. Those moments when everyone is looking to you to have all the answers. The times when things aren’t going well, and you have to keep the momentum going, keep the energy up, LEAD. Rule Number One is that it’s all about the People you lead. In the words of Tom Peters, “It’s the people, stupid!” I could write all day about the challenges encapsulated in those four words (or indeed, the first three) – we all know the many and varied scenarios therein. Over many years in business I (and no doubt you) have heard a thousand times – “this business would be great if it wasn’t for the customers!” and, no less often, “managing this business would be easy if it wasn’t for the people!” Answer? Apart from the obvious one about “customers paying our wages” – we manage the business, and we must Lead the People. Asked to share his success secrets, Southwest Airlines co-founder and corporate culture guru Herb Kelleher stated that his only secret is “You have to treat your employees like customers.” I recently suggested, in my post Trust is the Goal, that the five words “Happy Teams serving happy Clients” (or Customers, or Guests) are five of the most important in the English language, as far as business is concerned; having reminded myself of Herb Kelleher’s statement I’d go further, and suggest they are the most important! As a Leader, then (as opposed to a manager), you have a key group of Customers within your organisation. Your most important Customer group, in fact. You, in effect, are a service provider, and your People are your Clients. The services you provide include: setting an inspiring Vision, creating an environment where People feel valued and can do their best work, developing People, maintaining focus, maintaining energy and momentum. 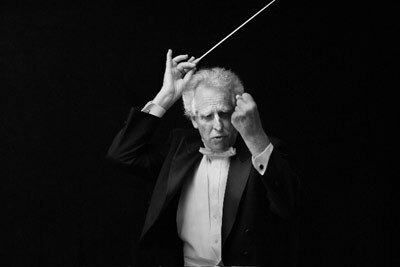 It’s a well-worn, yet no less appropriate, analogy that as a Leader, you are like the conductor of an orchestra, ensuring that all the players (a) are on the same page, (b) come in at the right time, playing the right notes, and (c) are able to give their very best performance, every time. To quote Benjamin Zander, conductor of The Boston Philharmonic Orchestra and a celebrated guest conductor around the world, you are “Chief Dispenser of Enthusiasm” (thanks to Tom Peters for first drawing my attention to that wonderful quote!) To my previous “five most important words” in the language of business, I’d like to add that word ENTHUSIASM. Enthusiasm is infectious, it’s the opposite of cynicism, it creates POSITIVE energy that can overcome challenges and exceed goals. In our next two posts we will consider how to get organised, and what support is available!